The Newton International Fellowship Scheme, run by the British Academy and the Royal Society, is now open, and will select the very best early stage post-doctoral researchers from all over the world, offering support for two years at UK research institutions. They will provide an opportunity for Researchers to invite and sponsor international colleagues who are currently working abroad, to come work alongside them in the UK. The scheme will provide grants of £24,000 per annum to cover subsistence and up to £8,000 per annum to cover research expenses, plus a one-off relocation allowance of up to £2,000. In addition, Newton Fellows may be eligible for follow-up funding of up to £6,000 per annum for up to 10 years following the completion of the Fellowship, with the long-term aim of the scheme to build a global pool of research leaders and encourage long-term international collaboration with the UK. — The additional benefits for the UK Sponsor and host organisation. Deadline for Applications – 25th February 2015 with final results to be announced in August 2015. Please let your Research Facilitation Team know if you intend to apply or have any further questions. To enter the poster contest, write a 250 word abstract on the topic of your poster. The best 50 or so abstracts received will get travel bursaries, meaning that we’ll refund your transport costs, and an overnight stay if that’s necessary for you to attend (for example – if you’re coming from Southampton, we’ll pay for 2 nights accommodation, but if you’re coming from Glasgow we’ll only refund your train fare). The deadline for submissions is the 28th February 2015. Wow!How? Family Science Fair – Volunteers needed! 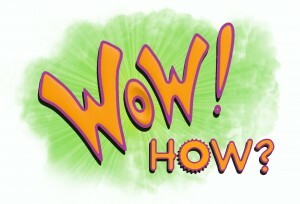 Posted in Events, Just for Fun	| Tagged event, Just for Fun, Volunteer, Wow!How?